Gulmarg is a town and hill station of Jammu and Kashmir and is noted for having one of the worlds highest cable car i.e. “Gondola”. 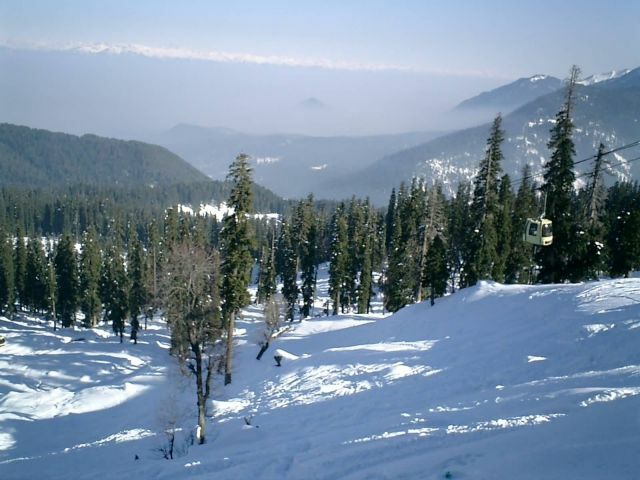 Gulmarg is the “heartland of winter sports in India”. The main activity for a tourist in Gulmarg is skiing. Temperatures in Gulmarg remain well below zero for major part of the year. Gulmarg has been the location of shooting of many Bollywood Films like Bobby, Jab Tak Hai Jaan, Yeh Jawaani Hai Deewani, Highway etc.